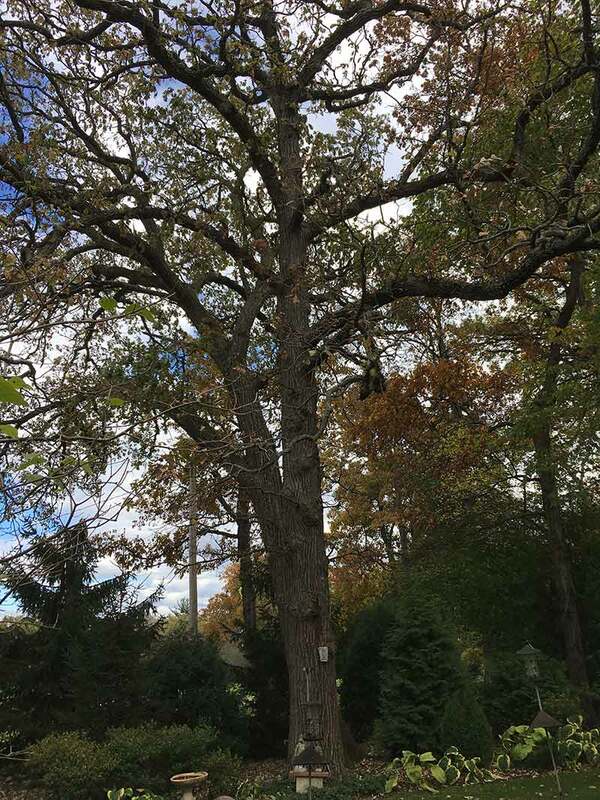 There are several bur oaks as well as shagbark hickories on this well maintained property at 8 Lagoon Drive in Hawthorn Woods of which the property owner is justly proud. This area of Hawthorn Woods was originally inhabited by Potowattami Native Americans, then in the mid 1800’s German and Dutch settlers enjoyed these rich oak woodlands. In 1953 Matt Larson began development of this area and stipulated that area oak trees be protected. Our thanks to the Ibbotsons for carrying on with that protection and propagation of these beautiful trees.